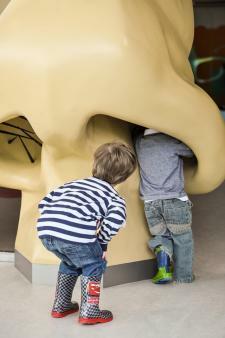 One of the best children's museums in the world, Eureka! 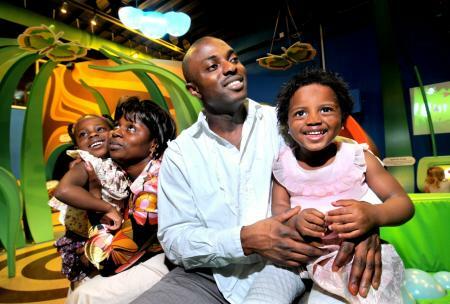 is packed with hundreds of hands-on exhibits designed to inspire children to learn through play. 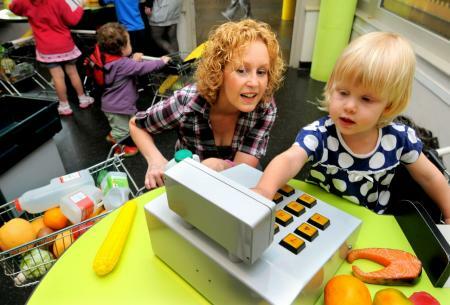 Our family testers were amazed at what's on offer and determined to be regular visitors in the future. Leanne Davies visited Eureka! with her sons Jack, 8, and Alex, 6. Days out with children can be a bit daunting, and a trip to a museum especially was not something I could have ever envisaged with two young, lively boys. I could already hear myself saying: "Don't touch that!" or "Stop racing round!"... all day (*shudder*). Until one day we braved Eureka! The National Children's Museum, where touching that, pressing this, feeling those, sniffing here and trying that was actively encouraged! The annual pass is excellent value, meaning you pay once and then return for free as many times as you like for a further 12 months, obviously appealing to a Yorkshire lass like me, and you WILL be back; there is so much to see and do multiple visits are needed! The 'All About Me' gallery. 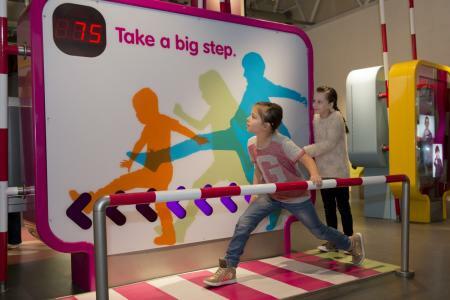 Your visit starts with an exciting countdown to enter to see a short introduction video, before collecting your passport and heading off around the 'hands on, minds on' gallery, seeing how high you can reach, how far you can stride and much more. Don't forget to say "Hi!" to Zoom the inquisitive robot who resides there! The outdoor area is also a must if the weather permits – the Wonder Walk is a sensory trail to follow (with mud, sand and water to wade through! ), and don't miss a spot of sandcastle-building in the largest sandpit in the North of England. Living and Working Together, based around a mini Town Square – you can role-play in the shops, use a 'real' cash machine (it delivers Eureka! bank notes), explore the high-security vault in the bank and cook some dinner in the Eureka! House. Exploring the science of sound and music in the SoundSpace gallery. You can have a go at playing a giant guitar, explore how music makes you feel by creating your own soundtrack, 'see' how a sound wave travels through the air and even put on your show and choose some light effects and a backdrop for your performance. My eldest, Jack, has Down Syndrome and one of the brilliant (free) services that stood out for me was Eureka's Extra Pair of Hands, essentially an extra pair of hands to accompany you on your visit to guide and support you, and generally make sure you get the very best out of your day out. Brilliant! This ensured a stress-free, enjoyable, accessible and FUN day out together. Not only were the extra hands valuable; the extra pair of eyes were very useful, too! In fact whatever additional need your child has you will be catered for, Eureka! 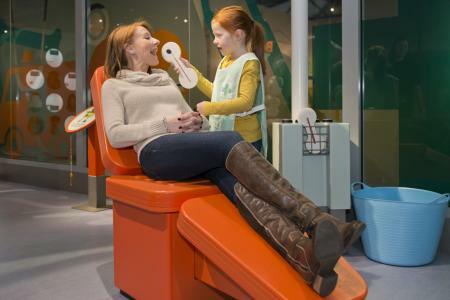 has an amazing inclusion policy, and the friendly staff will ensure you and your family are enabled to access and enjoy every part of their museum. Regular clubs for children with additional needs are also available through the holidays and some weekends. There are regular themed events and workshops during school holidays – choose from film-making, craft activities, drama sessions and more (some activities cost extra). The Eureka! Café offers a great range of meals and snacks. You can also eat a packed lunch in one of the lunch areas in the museum or plan a picnic in the fantastic outdoor area (you can eat in a specially-designed Northern Rail Train Carriage!). Eureka! is in Discovery Road, Halifax, West Yorkshire, 17 miles from Leeds and next to Halifax railway station. A Pay & Display car park is available; regular local bus services from Halifax town centre also serve the site. Opening hours: during term-time Eureka! is closed on Monday and open Tuesday-Friday 10am-4pm and 10am-5pm Saturday and Sunday; during holidays opening hours are 10am to 5pm every day. All tickets at Eureka! are annual passes, so you can return as often as you like for 12 months. Adults and children over 3 pay £11.95; children aged 1-2 £4.25 and babies under 12 months are free. There's plenty to choose from in the Gift Shop, from wooden play food to 'cut up' to handpuppets and the best-selling mechanical pincer arm, £5. Pack in loads of extra educational elements to your visit by downloading teachers' packs before you arrive – they're available for EYFS, KS1 and KS2. Early Years Foundation Stage: Personal, Social and Emotional Development, Knowledge and Understanding of the World, Physical Development and Creative Development. KS1 science curriculum: Senses, Living and Growing, Life Processes and Living Things, Physical Processes.